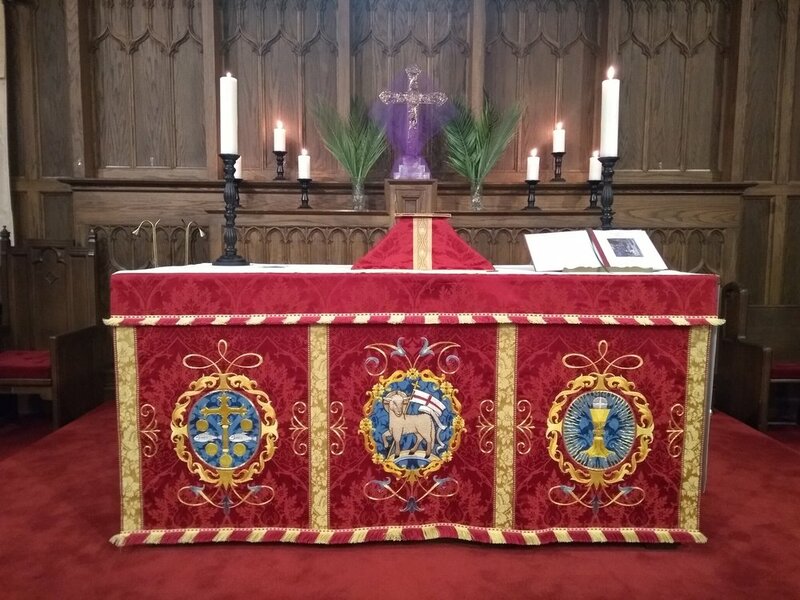 The Altar all dressed up for Palm Sunday! 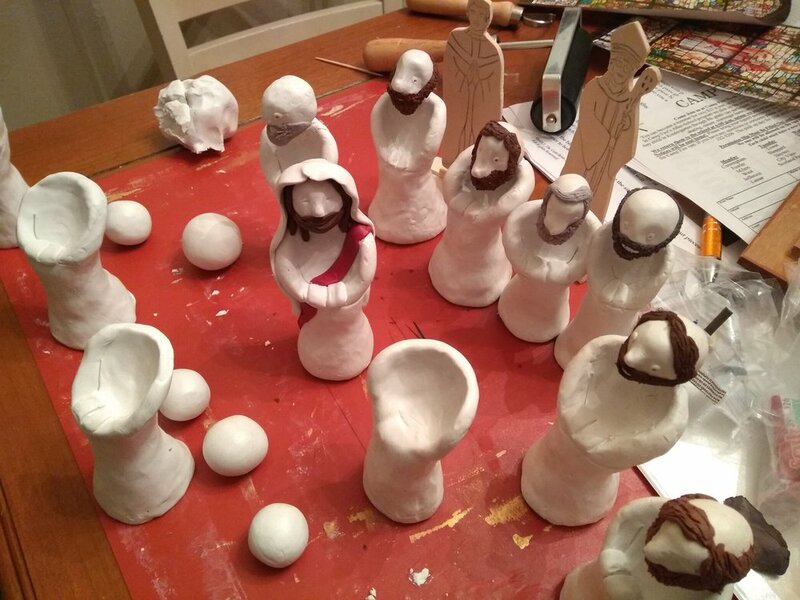 Handmade figures for our the Level 2 (ages 6-9) Catechesis of the Good Shepherd presentation on the Cenacle (the Last Supper in the upper room). For more information on Catechesis of the Good Shepherd, go to www.cgsusa.org.